Ancient Cities perform at the Find Your Muse open mic night on June 24, 2013. 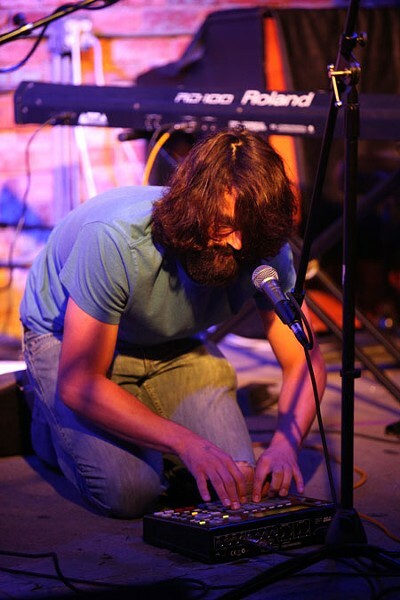 Albert Strawn performs at the Find Your Muse open mic night on June 24, 2013. Todd Murray performs at the Find Your Muse open mic night on June 24, 2013. On a warm June night, during the eighth song about heartache and heartbreak, I found myself wanting to tell the singer-songwriters to hug it out. "I think listening to all of this on a weekly basis is going to make me better at relationships," Pat Maholland jokes. Maholland works the Evening Muse soundboard, as he has since 2008, for the Find Your Muse open mic night. While his first job is to make sure the performers all sound good, his second might be saving his own sanity. "Sometimes I have to step outside and get a break from it — especially when it's like this," he points inside to the latest singer with little range bemoaning the love he lost. It's not all bad. If it was, Find Your Muse wouldn't be entering its eighth year in existence. Charlotte's noteworthy open mic night is known for its clear and honest sound, coffeehouse vibe and supportive atmosphere. Each week a solid crowd filled with performers, their friends and family, and random music fans listen to whatever an artist has to showcase — mostly music, but at times comedy and poetry. There are as many first-time performers as there are regulars and it's probably the best training ground in the city for a music-based life. Each Monday night, dozens of people gather and draw straws, hoping to land one of the 25 or so available spots. If their name is called, they get 10 minutes or two songs to showcase their art and then get off stage. There's no time for tuning — "no one wants to watch that crap," host Erik Button tells the crowd. Originality rules and cover songs are discouraged, "unless you're doing something really creative with it," Button notes. On the evening I'm there, two comedians, Vernon Mack and Fen, and a poet, Andrea Jenkins, are amongst the bevy of singer-songwriters. Fen jokes that the only reason people go on vacation these days is to take Instagram photos to prove they were there. The format each week is consistent — five or six performers shotgun the night from 8 to 9 p.m. A featured performer then has a 30-minute set, before the rest of the straw-drawers get their chance. Regardless of the art form, the time limit is the same. That helps. If you think someone's awful, you only have to suffer through 10 minutes, or five minutes in the case of the lightning round — a way to get 10 more performers on stage in quick fashion, with a "winner" getting a small bar tab and their pick of spots the following week. "We started the lightning round as a way to not have to turn so many people away," Button says. Those ready to stand in the lights on that small corner stage quickly become part of Charlotte's supportive community of musicians. Performers know they are in front of an open-arms group of their peers, most of whom are waiting for their chance to shine in the spotlight next. WHEN YOU HEAR the words open mic night, you probably think of amateurs — young people who are just starting out, trying to find their voice and testing the tumultuous waters of live performance. While that describes the majority, it's not true for every person called to the spotlight. 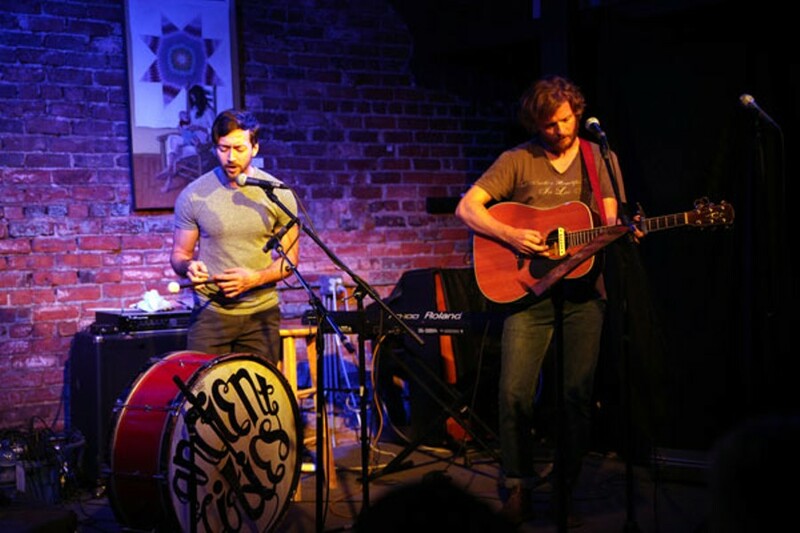 On this night, Justin Fedor and Stephen Warwick of Ancient Cities perform two folk songs as a way to promote their upcoming weekend concert; their experience in performing and songwriting shines through, earning the night's loudest applause. FYM regular Albert Strawn unveils a new "Happy Birthday" remix he wrote for a friend, his electronic performance breaking up the acoustic monotony of the night. "He's become one of my favorite performers," Button says of Strawn. "It's amazing how much he has grown as a musician since he started coming here." As the night winds down, Temperance League bassist Jay Garrigan plays a couple of solo songs he's been working on to the paltry crowd that remains. Sure, there are also "hiccups." A duo named Abby and Amber stumble through a song on ukulele as one of them forgets the words and the two pause to stare at each other before continuing on. The youngest performer, 11-year-old Nikki Fellows, offers the night's longest song at around eight minutes — and has something to learn about editing. Robert Morrison is adjusting to life without a band, trying his hand at solo work, and you get the feeling he'd be more comfortable with an electric guitar and backing band instead of standing alone with his acoustic. If you attend an open mic, you have to take the good with the bad along with the new and untested. "A friend of mine told me about this and I wanted to come by and check it out," says Todd Murray, a guitarist from Savannah, Ga., who performs under the name Sincerely, Iris. Murray was in town scouting for apartments with his girlfriend. "There really aren't any good listening rooms in Savannah where people actually listen to your music. It's nice to be in a room where the audience is actually paying attention to who's on stage." Hopefuls like Murray who travel from more than 100 miles away are given a reserved place in the night's lineup. Those are spots held for bands on the road who are looking for somewhere to play or random people passing through town with guitar in tow. Over the years, a handful of random touring musicians have dropped in to perform, including Ian Thomas, Paleface and Langhorne Slim. 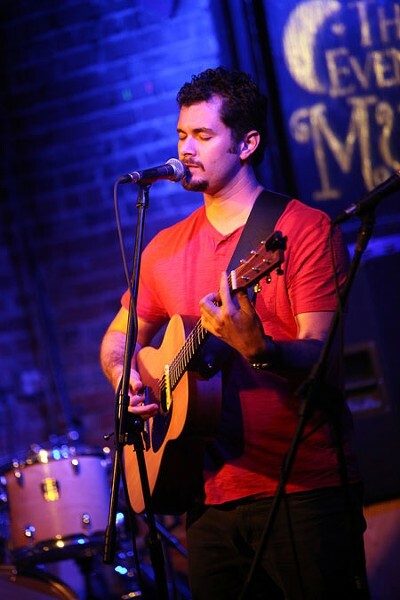 FIND YOUR MUSE was started in July 2006 by musician and then-Charlotte resident Eric-Scott Guthrie. Inspired by Eddie's Attic in Atlanta and the Sidewalk Cafe in New York City, Guthrie felt Charlotte was in need of a good, regular open mic night. "The Evening Muse is a great performance room, but at the time they had nothing going on at the beginning of the week," Guthrie, who currently lives in the Chapel Hill area, says. "I didn't want a competition like Eddie's has, but it has a featured performer spot in the middle to guarantee an audience on a Monday night. That spot is also something the new acts can shoot for; to try and grow into." By the second week of its existence, the night's popularity required Guthrie to institute the lottery so the same people couldn't simply camp out to get the best spots each week. The format has remained the same since the beginning, with Guthrie's leaving and the addition of the lightning round being the only major changes. "There aren't a lot of open mics in the country that have maintained the consistency and popularity that Find Your Muse has," Guthrie says. 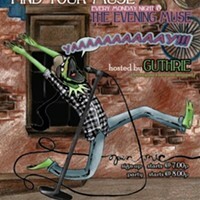 After hosting the night for a handful of years in his enthusiastic, Kermit-esque style, Guthrie handed the FYM reins to Button in late 2010, while Guthrie set out on the road to focus on performing as a traveling musician. "Erik has continued the energetic hosting style since he took over," Guthrie says. "He's growing as a performer in his own right, but he maintains the same light-hearted atmosphere that I started. I wasn't giving it the attention it deserved and that's being done now and it kind of runs itself." Button had been a regular Find Your Muse performer for roughly a year when he was offered the hosting gig. He settled in quickly and found his own announcing style, occasionally adding in jokes between acts to keep the mood light. "We definitely encourage original music and the audience is there to hear music, not sit at a bar and watch TV," adds Button. "I always suggest that interested people come out and watch once to see how it goes before coming out to play. That, and network with other people because you can learn a lot from other musicians." FOR THE REGULARS and veterans, FYM has become a kind of second home — a place to network, a place to feel comfortable, a place where you won't be judged for what you bring to the stage. Strawn has been coming to FYM for about three years. "It's a great place to express yourself," he says. "You're going to get great sound and no matter what, the crowd will be sincere with their applause. They won't yell at you if you screw up; if anything, they're supportive if you do." As Strawn and I talk outside about his thoughts on the open mic night, a couple of people come up and shake his hand, asking about the instruments he played or simply telling him they enjoyed his performance. "The audience is going to applaud either way, but you can tell if it's really good and wins people over," Strawn says. "They'll also come up to you after your songs and tell you they liked it or that they love your voice or give you feedback." Because it only fits around 100 people, the Muse is the ideal setting for an open mic night. The crisp audio lets you hear every emotion or mistake clearly. It keeps the musicians honest with their craft. It also keeps the audience attentive toward whatever is happening on stage. There are no TVs to distract, and there's a built-in respect to keep conversations to a minimum, or take them outside. Because of the intimate atmosphere, open mic night at the Muse is a great way to meet fellow musicians for potential collaboration. Some people will announce from the stage that they're looking for like-minded souls, while others have a more natural progression. 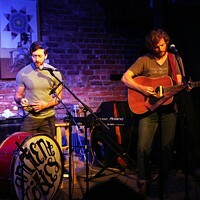 Stephen Warwick and Justin Fedor met at Find Your Muse when it first started and have performed there in various bands since then — Warwick as a solo performer and with his old band, Secondhand Stories; Fedor with Fedor and Guthrie (a precursor to the New Familiars) and as a solo performer. It wasn't until about a year ago that the two started performing together under the Ancient Cities monicker. "It's a good way to promote a show and let people know about the music you're doing if they're not aware of it," Warwick says shortly after the duo's performance. "We've been the featured performer here and we try to come back every few weeks. It's a great place to try out new material. The sound is amazing and everyone is respectful and supportive and it's a good way to network." Adds Fedor, "This is where Stephen and I originally met years ago — where I fell in love with the music of Secondhand Stories and everything they did. It's cool that it's come full circle and we actually play together now."